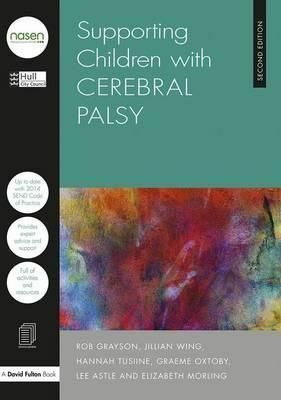 Description: Completely revised and fully updated in light of the 2014 SEND Code of Practice, this edition familiarises readers with the specific learning needs of cerebral palsy. Offering practical tips and tried-and-tested strategies from professional practitioners, this accessible guide provides advice on how to meet the needs of young people with cerebral palsy. This new edition presents all of the information practitioners will need to know to deliver outstanding provision for young people with cerebral palsy and support the inclusion of children and young people with cerebral palsy into mainstream schools. The far-reaching advice found within this guide includes: * Planning for a pupil with cerebral palsy * Accessing the curriculum, including specific advice on each subject area * How to make effective use of support staff * Developing independence skills * Liaising between home and school * Making the transition into adulthood With accessible materials, such as checklists, templates and photocopiable resources, this up-to-date guide will enable teachers and other professionals to feel more confident and effective in the support they can provide.